NICOLA STURGEON WILL REFOCUS the Scottish Government's efforts on the immediate task of the Brexit negotiations, after reflecting on the recent election results in May and June. 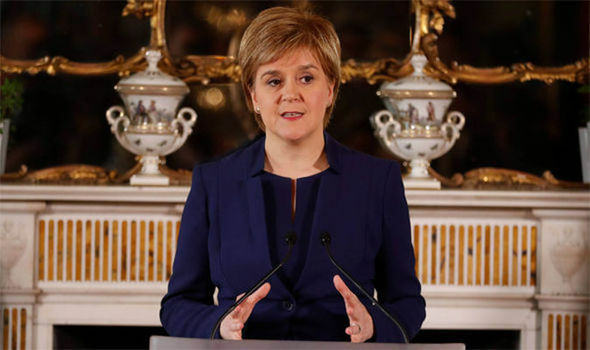 "We will not introduce the legislation for an independence referendum immediately", the Scottish National Party (SNP) first minister told Scotland's parliament in Edinburgh. Holyrood's pro-independence majority endorsed the First Minister's original proposals for a second referendum in March. "I recognise that people do not feel ready right now to say when that choice should happen because of the uncertainty caused, not just by Brexit, but by the reckless Brexit this government is pursuing". Sturgeon also took the opportunity to criticize UK Prime Minister Theresa May and her government, saying that their approach would mean that "even a so-called good deal will be on terms substantially inferior to our current European Union membership". At the time, Ms Sturgeon made it clear she would only hold the referendum once "the nature of the changes. made inevitable by Brexit become clear". Scottish Conservative leader Ruth Davidson agreed with May that Sturgeon should end any lingering uncertainty by ruling out the prospect of a referendum for the rest of this parliamentary term. "That statement will fail to give any assurance to those people that this first minister is listening", she said. "None of the questions that are raised by Brexit are answered by ripping Scotland out of our own union of nations, our biggest market and our closest friends". She said: "The First Minister's new plan will enable an opportunity for Scotland's politicians of all parties to focus on two clear objectives, to ensure that Scotland and the United Kingdom get the best deal possible from Brexit, and for the Scottish Parliament to deliver the improvements to skills, taxation, infrastructure and connectivity that we need here in Scotland". Plans for a referendum will not be revisited until at least autumn next year, when she will set out her view on the way forward, including "the precise timescale for offering people a choice over the country's future". "We face a Brexit we did not vote for, and in a form more extreme than most would have imagined just a year ago". Not to mention he got a quick jab at his critics with a well-timed Nike commercial shorty after the confetti fell in Oracle Arena. Pop star Rihanna, who famously feuded with Kevin Durant during the NBA Finals , proved to be a good sport.